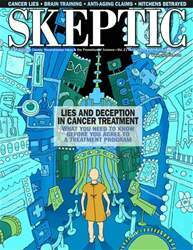 Digital Subscriptions > Skeptic > 21.4 > Why Salem? WHY DID THE 1692 WITCHCRAFT TRIALS in Salem Massachusetts have a unique 100% conviction rate? Why was a pact with the devil central to the 1692 trials, but not to witchcraft trials in the centuries since?